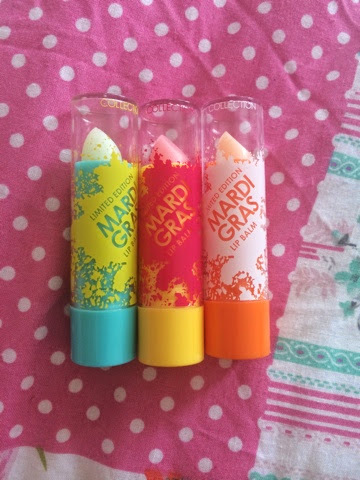 Collection Cosmetics recently contacted me and sent me their new Limited Edition Mardi Gras range to check out. I was excited to receive all three new lip balms and nail polishes that are to be released in Superdrug from 4th June and Boots from 11th June*. The range is inspired by Rio and the Amazon tropics to bring about a 'celebration of colour and expression'. The nail polishes scream summer to me! These lip balms smell amazing. They are available in Green Apple, Strawberry and Orange. I first went for the apply flavoured one and it smells lovely. The texture of the lip balm is really smooth and I have definitely noticed a change in my lips, they are a lot softer. The Orange one just reminds me of summer, and the strawberry one smells like strawberry milkshake which, if you know me, is one of my favourite smells. They don't leave a colour on your lip, just moisturises them which I like as sometimes you don't need a product with tons of colour in it, I quite like the idea of a traditional lip balm. These are a definite staple for my summer bag. These are £1.99 each so they are affordable and definitely worth it to have smooth lips! 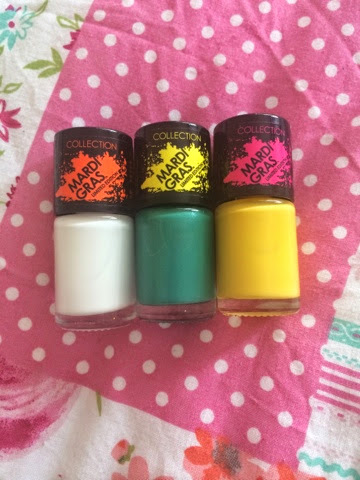 I also received the three nail polishes from the Mardi Gras range. These come in White Out, Canary Yellow and Green with Envy. My first impression from one coat was that they were a tad streaky, but after 2 coats they looked lovely! My favourite is White Out, I did get a comment saying it looked like I had used Tip Ex but with a tan I imagine these look amazing. 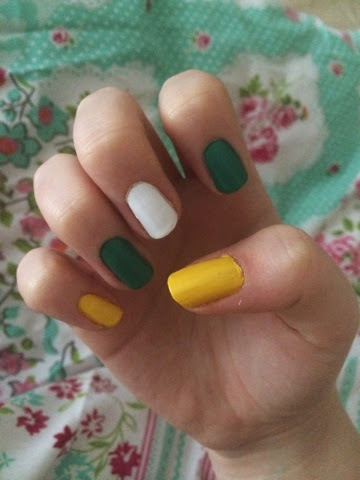 The finish is smooth, which I love in a nail polish and I love how the Canary Yellow really sings 'summer' to me. I think Green with Envy is a transitional colour that i'd wear all year round. These are also £1.99 each. So there we have it! I have loved working with Collection and I have to admit that strawberry lip balm is going to be in whatever bag I carry around this summer. For £1.99 each you can't go wrong. 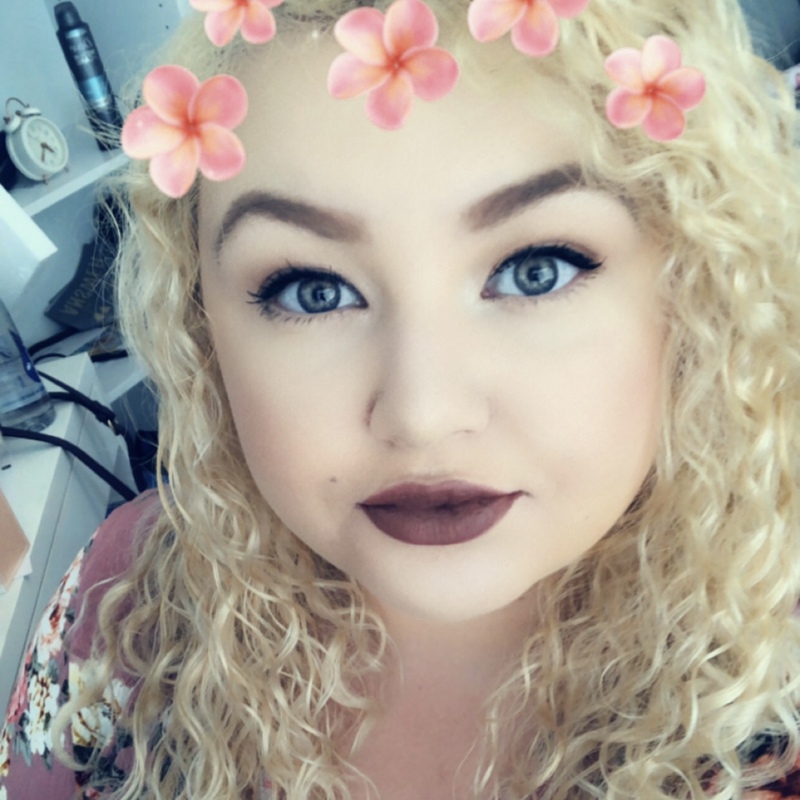 I can't promise you'll love them, as some coloured nail varnishes don't suit every skin tone, but for a pale blonde I can say personally they made me feel more summery and the lip balms really exceeded my expectations. I was thorougly pleased to say the least.